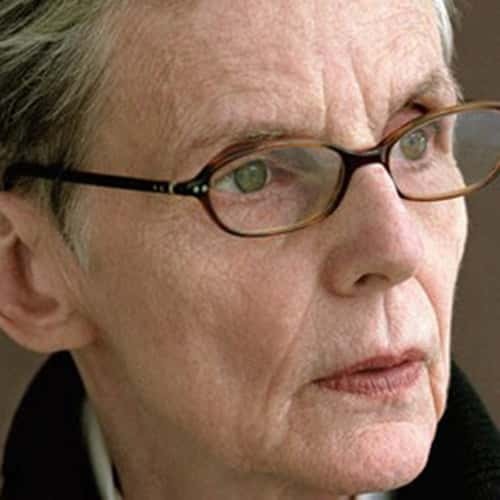 SUSAN HOWE, winner of the 2011 Bollingen Prize, is a preeminent and increasingly influential American poet, known for innovative writing that transcends genres with groundbreaking originality. Born in Boston in 1937, young Susan moved to Park Street in the Allentown section of Buffalo when her father joined the faculty of the Law School at the University of Buffalo. Her seminal memories of Buffalo are dramatically captured in the opening poem of The Europe of Trusts (1990). Though those years proved significant in Howe’s consciousness, the family did not stay long in Buffalo. When her father accepted a position at the Harvard Law School, they returned to Massachusetts where Susan remained until after high school. Deciding to pursue the theater instead of college (in part because of her mother, Mary Manning’s wishes for her), Howe spent two years in Ireland before returning to the U.S. to focus on visual art. Howe graduated from the Boston Museum School of Fine Arts in 1961 where she majored in painting, creating visual collages which often included quotation or text. It was only a matter of time until the words in her paintings gradually became more and more interesting to her as she made the gradual transition from painter to poet. These early forays into theater and painting inform the entirety of her written work. Howe’s poetry is dramatic in its use of the page as a canvas for text. The poetic voice is powerful in her numerous books of poems as well as her essays and volumes of criticism. Early works include Hinge Picture (1974), Secret History of the Dividing Line (1978), The Liberties (1980), and Defenestration of Prague (1983). 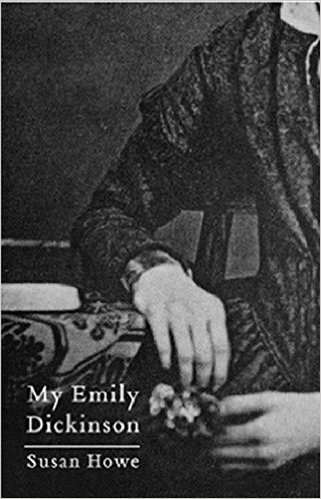 But it was her groundbreaking work of literary criticism, My Emily Dickinson (1985), which transformed both Howe’s career and the field of Emily Dickinson scholarship. In 1989, Howe returned to the Buffalo of her childhood to join the English department at the University at Buffalo where she was one of the founders of the Poetics Program with Robert Creeley, Charles Bernstein and Dennis Tedlock. She held the Samuel P. Capen Chair of Poetry and the Humanities until her retirement in 2007. Fascinated by the voices of history, Howe’s books circle around Puritan and New England figures, drawing inspiration from archival documents, letters, diaries, photographs, found texts, film, dictionaries, notebooks, philosophical writings and anything else which captures her fancy. From Cotton Mather and Anne Hutchinson to Herman Melville and Charles S. Pierce, Frederick Law Olmsted to Chris Marker, she digs deep into the past and creates works which are quintessentially Howe, consistently avant-garde for four decades and counting. Other notable volumes of poetry include Singularities (1990), The Europe of Trusts: Selected Poems (1990), The Nonconformist’s Memorial (1993), Pierce-Arrow (1999), The Midnight (2003), and That This (2010). Her books of criticism are The Birth-Mark: Unsettling the Wilderness in American Literary History (1993), which was named an “International Book of the Year” by the Times Literary Supplement; The Quarry (2015), and My Emily Dickinson, which was reprinted in 2016. Howe is the recipient of two American Book Awards from the Before Columbus Foundation and a Guggenheim Fellowship. A Chancellor of the Academy of American Poets since 2000, Howe received Yale University’s Bollingen Prize in American Poetry in 2011. She lives in Guilford, Connecticut. A remarkable and passionate poet-on-poet engagement, My Emily Dickinson frees a great poet from the fetters of being read as a special female neurotic, and sets her against a fiery open sky where “Perception of an object means loosing and losing it…only Mutability certain.” My Emily Dickinson won The Before Columbus Foundation Book Award.